Our primary focus is breeding high-quality, gentle, productive, winter-hardy, and mite-resistant queen bees. In order to be selected for breeding, a queen must have successfully wintered at least TWO seasons, in addition to displaying all of the other characteristics we select for. Our breeder queens spend their first winter in a 5-frame nuc, and then their second winter in a full-strength production hive. Our queens are open-mated; we flood the area with drones from our selected drone mother colonies. 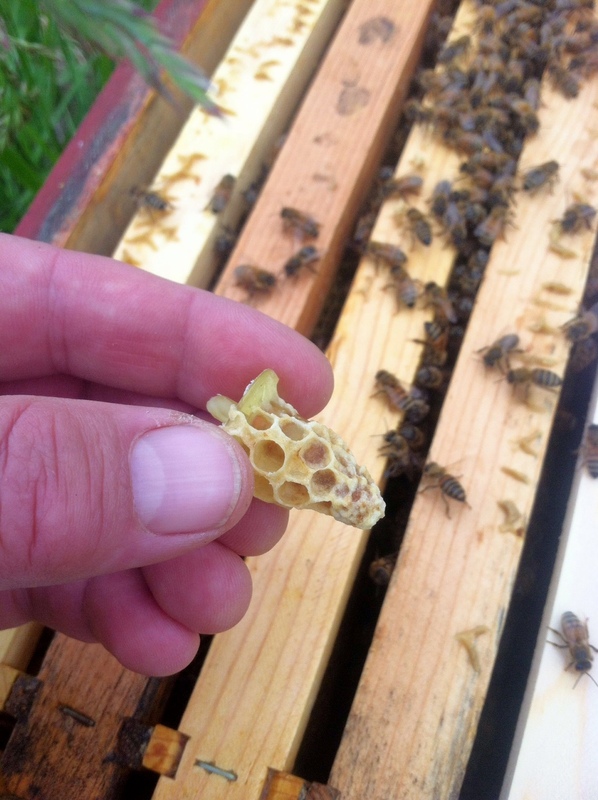 All of our queens are mated in nucs with deep brood frames. We feel strongly that it is difficult to truly assess the qualities of a queen and her offspring when she is in a tiny mini-mating nuc. Unlike many larger scale queen breeders, we prefer to avoid banking queens unless absolutely necessary. A queen who is removed from her nuc while actively laying eggs is much more likely to be accepted, as compared to a queen who has been in a queen bank for several weeks. Some large commercial queen breeders catch and ship their newly mated queens as soon as the first eggs are seen, often as early as 2 weeks after the queen cell is placed into the mating nuc. We feel that is much too short a time to fully assess the queen. Thus, before we sell a queen, we wait until at least 28 or more days have passed to truly the egg-laying, brood pattern and other characteristics of a new queen. Queen breeding is highly weather dependent. Because we need sunny days with temperatures warm enough for mating, unlike queen breeders down south, we do not have queens available for sale until mid-June, July through mid-August. We can also offer queen cells by special order.